It occured to me recently that the underlying values that have driven most of our decision-making at Legume over the past decade are rooted in the thinking of my twenty-something self. After graduating from college, and with the writings of Wendell Berry, Gene Logsdon, Wes Jackson, and other philosophers/thinkers who write about industrial agriculture and its effects on our culture, the environment, and our democracy fresh in my mind, I entered my professional cooking career with a head full of ideals. Sarah and I spent most of our twenties in San Diego, where we bought most of our food at farmers markets and the organic food co-op. Most of what we ate at home was from scratch and either local or organic. When we moved back to Pittsburgh and opened Legume, part of our stated goal was to cook for the guests of our restaurant the same way we cook for guests in our home. In 2007, the farm-to-table thing, though not at all a new idea in certain parts of the country, was finding mainstream popularity. 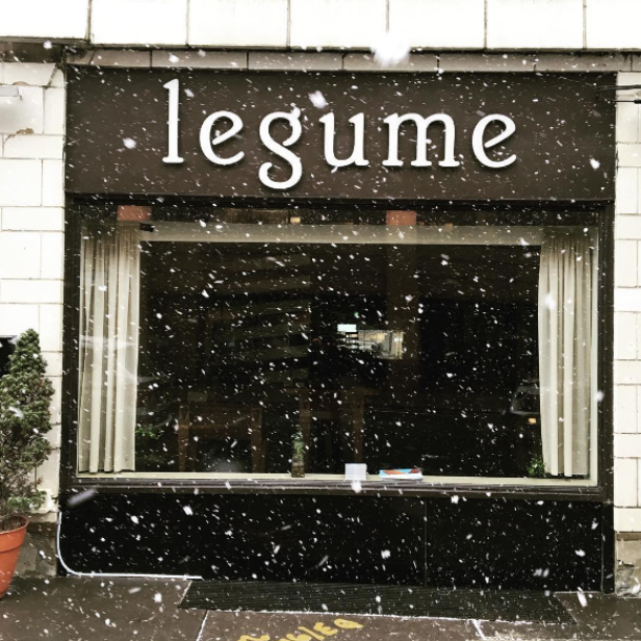 Legume’s ethos fit perfectly with the kind of things food writers wanted to write about then, and we easily and quickly got a buzz going about our restaurant. As the years went on, we burrowed down deeper into this ethos. I envisioned Legume moving towards a point in the future where 100% of what we were putting on the plate was from Western PA, and giving up things like citrus, white sugar, and all purpose flour. Even though I knew that 100% was not truly attainable, moving towards this end was a powerful creation myth that energized my staff and myself, and took us down creative paths we wouldn’t have otherwise traveled. For the first seven years or so, it really felt like we were making progress towards this end. Each year, we were able to preserve more produce than the previous year, which meant more local produce in the winter, and less reliance on produce shipped in from away. For a while, we were hand-grinding our own polenta from local corn, and whole wheat for pasta. We had a full-time butcher, and for several years purchased all of our pork, beef, and goat as whole animals from local farms. Each year, the percentage of local foods used was more than the year before, which fueled the belief that the abstract goals we had made for ourselves were attainable. Cooking like this took many, many hands in the kitchen. Meanwhile, the trajectory of how Sarah and I ate at home was moving in a very different direction. As our family at home grew in size, so did our business. I was putting so much time and effort into making Legume a bubble of farm-to-table purity, while our fridge at home was stocked with foods I wouldn’t serve at Legume. Instead of reflecting the earnest, fun-loving way we had cooked at home in our carefree twenties, Legume was something different. It had become ambitious, a little bit rigid, and became (and continues to be), draining. Around 2016, things started to plateau in terms of sourcing locally. I also began to notice a few things. While we’d developed the capacity to preserve enough produce in the summer and fall to get well into spring, this dreamy accomplishment was not met with the enthusiasm I had hoped for. While a steaming bowl of well-made Shchi (Russian soured cabbage and beef soup) is very much appreciated on a cold January day, it doesn’t exactly hold the same appeal on the first spring-like days of March. Since things don’t really get going produce-wise here until May (and even then, it’s mostly just greens, rhubarb, and asparagus until the middle of June), hyper-localism means sauerkraut and root veggies for way longer than people really want it. Also around this time, we were beginning to feel the first effects of what has now become a full-blown kitchen labor crisis here in Pittsburgh. It has become increasingly difficult finding people to do kitchen work. Scratch fine dining restaurants like Legume have, for decades, relied on an unofficial apprenticeship model in which cooks worked for less pay than what they would have made at a corporate box restaurant where the cooking is more like manufacturing, in exchange for the opportunity to hone techniques that are only found in a kitchen environment skewed more towards craftsmanship. It has becoming clear, however, that this apprenticeship model isn’t going to work as well as it used to. I think for chefs of my generation, who came up in the business before 9/11, before the recession, and before the country was saturated with boutiquey chef-owned restaurants, there was a great sense of optimism among us that if we worked hard enough and gained enough skill as apprentices, we’d be successful chefs making a good living doing our own thing. It made sense for us to work for free, and/or for low wages. The most I ever made after working a decade in food service for other people was $10 an hour, without any benefits. That was okay, though, because it was my education, (and an education that did not involve any debt, either.) I also think that young people today have more expenses than my generation did. Rent is higher here in Pittsburgh than it was when I was cooking here in the late 90’s, and now everyone has a monthly cellphone bill. It’s clear that the apprentice system, which I paid into for a decade as a young cook in the 90’s and early 00’s, can’t depend on a dangled carrot of future chef-hood. We need to find a way as an industry to pay our kitchen work better now. This means working leaner, smarter, and giving up certain things. Now in my 40’s, I’m as much as an idealist as I have ever been, though, perhaps, a slightly more sober one. I still want Legume to be a force for good in the world, but what that means, exactly, is much different than it used to be. It used to be that the most important thing was Legume moving towards a point in the future where our cooking would be completely untethered from the industrial food system. Now it is more important to me that Legume be a healthy business that provides stable, good-paying jobs for its kitchen workers. In this way, I think we make more of a positive impact in our community than being a bubble of farm-to-table purity. How we source is still important–Legume will still lead the way in terms of sourcing local foods from Western PA, and we have every intention of maintaining the relationships with farmers we’ve built over the past twelve years. Our winter repertoire is thoroughly tethered to house-canned tomatoes, sauerkraut, kimchi, sour cherries, and rhubarb chutney we make in the growing season. It’s just that instead of making enough of these things to get us through next June, we scale back and do enough to get us through March–right around the time people get sick of it anyway. I might also be a little less likely to do some of the fringe stuff, like making dandelion wine or 200 pound batches of pickled garlic scapes. We’ve also found ways to outsource things without really diminishing quality–such as letting Suzanne from Kistaco Farm make the applesauce we use at Pie For Breakfast, instead of buying apples from them and making it ourselves. 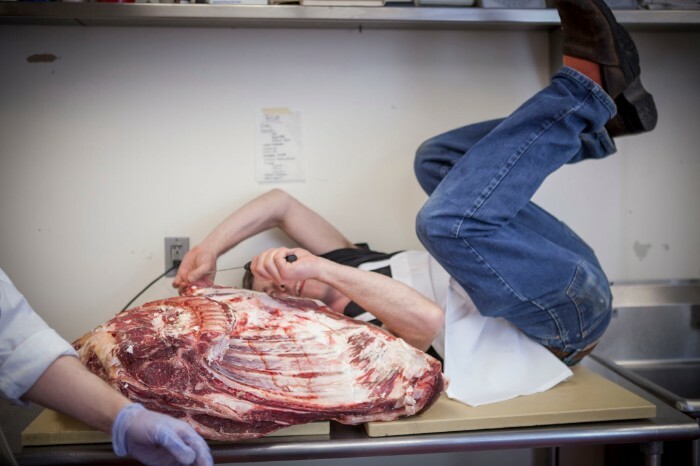 Another big shift has been letting Brad Thoma grind our beef for Butterjoint burgers at his meat shop in Saxonburg, instead of buying sides of beef each week and butchering and grinding it ourselves. They’ve been doing it there for four generations; who am I to think Legume could do it better? A lot of our ambitious endeavours over the years were driven by curiosity, and I don’t regret the years of whole animal cooking and grinding our own grains for what they taught us about our craft. The lessons learned during those inspired years will live on in the collective memory of our kitchen. But so do the bad. The effects of the chef rage I visited upon my staff–which is inevitably cooked up when a young chef has such an ambitious agenda, is immersed in a “yes chef” culture, has a list of nice accolades and articles written about them, and has the financial pressures of this godforsaken business constantly on the mind–is still felt along with the good. It’s certainly a mixed bag. Though the freakouts these days are more rare, much shorter, and less intense than they used to be, it will take a long time to heal these wounds completely. The best thing I can do is learn from my mistakes and work to make this place less of a pressure cooker. Tropical Foods Month, which is happening next month at Legume, is our way to shake up everything we’ve thought about what it means to be thoughtful, considerate consumers here in Western PA and investigate it in a new light, and perhaps liberate ourselves, if only a little, from our addiction to the “shoulds” of hyperlocalism. During Tropical Foods Month, we put our attention into the many ways we might actually make a positive impact by reaching beyond the borders of Western PA, like working with more fair trade ingredients, instead of following what has become the predictable farm-to-table formula of our time, which is to “just say no” to what isn’t local as the crow flies. It’s no coincidence that we’re doing this in March, a time of year when the doldrums of winter really hit hard here, and when a lot of tropical ingredients are at their peak. We kick things off with a tropical foods buffet on March 3rd, exploring the Caribbean roots of some of our staff members: Oliver, Erica, and Duane. Former Legume chefs Jamilka and Raf will return on two different nights: Raf for a menu of authentic and modern Filipino dishes revolving around fish and fruit, and Jamilka cooking up the memories of her childhood in Puerto Rico. In addition to these events, we’ll be featuring tropical and fair trade ingredients at Legume, Butterjoint, and Pie For Breakfast on our daily menus all month long. We’re happy to announce that Chef Csilla Thackray will be joining the Good Faith Restaurant team as Legume’s chef de cuisine starting this February. Csilla has been the executive chef of the Vandal (one of our personal favorites in Pittsburgh) since it opened. We’ve been without a CDC since this past January. 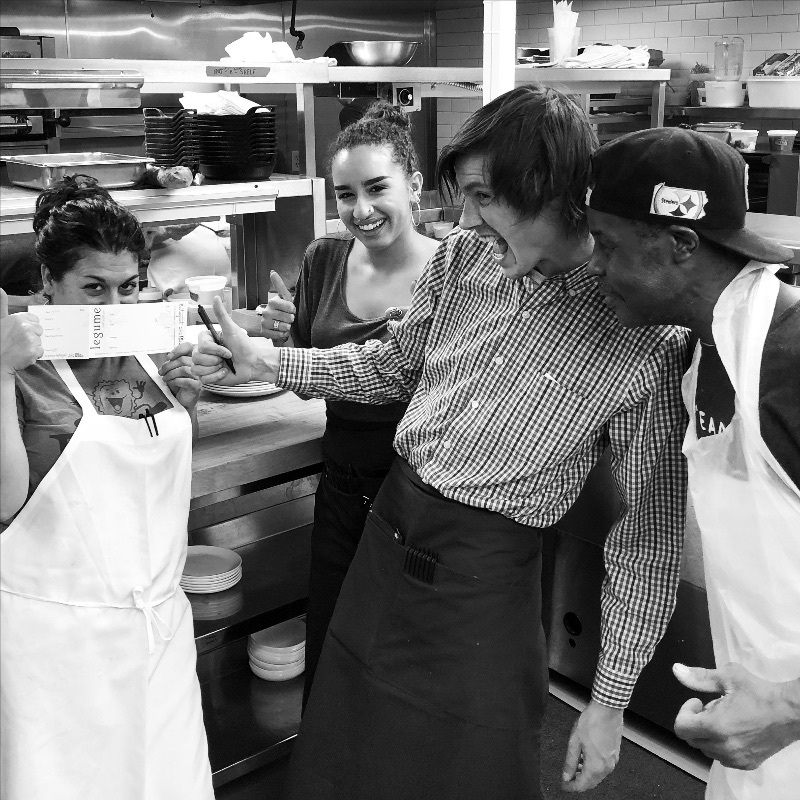 In announcing this happy news, I feel the need to acknowledge the chefs behind the scenes who have kept things going at Legume this past year, especially Jessica George and Chris Shuplock who sacrificed a lot. 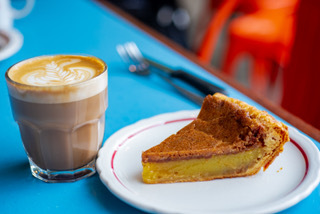 I’m really proud of the way they’ve been able to keep quality high, and customers happy during this transitional year without a CDC and with Pie For Breakfast opening. Keeping the creative spark alive and well in a professional kitchen is its own job, and I’m happy to make room in the fold here for Csilla to do just that. It’s always been very important to Sarah and I that Legume remain a place that is continually growing and evolving, and have a lot of confidence that Csilla’s abilities and talents will help us to this end. This is really the time of year where we do our best cooking. In the summer, everything is new and fresh and the menu is changing all the time. In the winter, things tend to change less, and we settle into a more established repertoire. We visit the same dishes over and over, year after year–Cassoulet, Beef and Kimchi Soup, Shaker Corn, Blood Orange Salad and others. These dishes are like old friends, and like old friends, these dishes change from year to year. The same, but a little different. It never ceases to amaze me how much a dish that we’ve been making for ten years can still be evolving. For example, this year we noticed the tarbais are more creamy and easier to cook when they’re a year old. The past four years, we’d been using beans dried only a few months earlier. We continue to make other tweaks too: we discovered we like super-fresh bread crumbs instead of dried, to give the crust a chewy-crunchy texture; we tweaked the Toulouse sausage recipe; the duck confit cure is better than in years past. A lot of thought has gone into the cassoulet over the years. Cassoulet should reliably be on the menu at least through Valentine’s Day. After that, we sometimes get tired of making it and usually take it off the menu. It’s sometimes hard to remember that the dishes we feel like retiring for the season have not yet been had be all who want it. For this reason, we’ll keep it going until March, when it will be time to start thinking about Zurek and tropical foods. Join winemaker Jef Stebben and the culinary team at Legume as we celebrate Pennsylvania wine! Maple Springs Vineyards in Bechtelsville, PA was founded in 2008 and produced their first vintage from estate grown fruit in 2012. 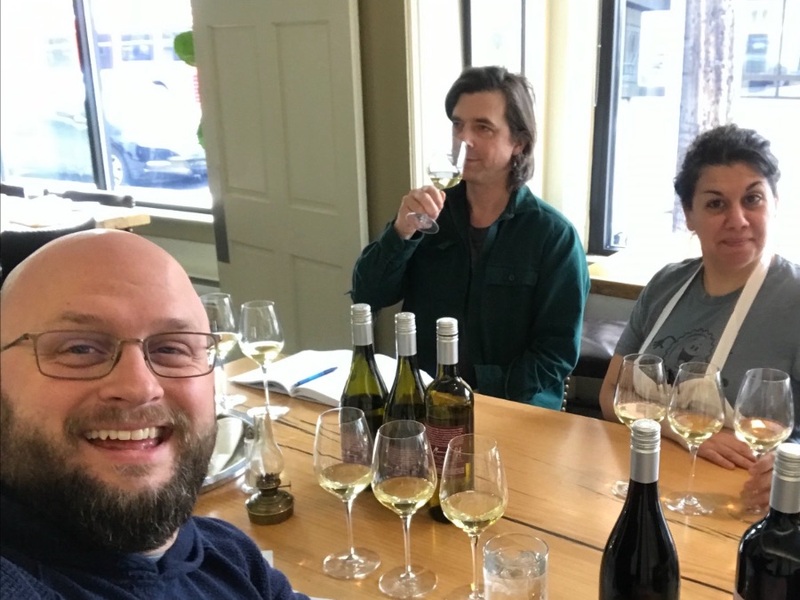 Jef, a graduate of UC Davis, brings years of winemaking experience from working in wineries and consulting in the Pacific Northwest and California. Focused on sustainable farming and winemaking, Maple Springs is setting the bar for Pennsylvania wine and expressing the unique terroir of their vineyard sites. We currently carry their Chardonnay and Pinor Noir by the bottle and we’re excited to share some of their other offerings with you by way of a six course tasting menu. Jef will be on hand to explain his wines and answer your questions. The price for this six course meal with wine pairings is $125 per person plus tax and gratuity. Please call 412-621-2700 to make a reservation. We look forward to sharing this remarkable PA wine with you! Jess, Jade, Jason and Devalle being dorks, uh I mean, um cool. Thrillist says Legume is still one of the “Best of the Best” in Pittsburgh, and named Pie For Breakfast one of the best new openings in 2018–quite an honor considering a record-breaking sixty seven thousand restaurants opened in Pittsburgh in 2018. We are also honored to be considered one of Pittsburgh Quarterly’s “Ten great places to come in from the cold.” We couldn’t agree more. Next Tuesday, January 22nd is the return of Cheap Date Night at Legume! $50 gets you three courses for two people. Since this is a special event, reservations are available by phone or in person only. Please call the restaurant at 412-621-2700 to make reservations. Hope to see you there! Legume is looking for a chef de cuisine (CDC). We have not had one since July. We’ve been piecing it together with a team of dedicated chefs and cooks who have been around here for a long time and are more than capable of maintaining the repertoire that has developed here over the years. We could certainly carry on like this in perpetuity, and that might not necessarily be a problem. Despite not having a chef de cuisine this fall, I’m happy to report we’ve been hearing a whole lot of “that was one of our best Legume experiences in a long time” kinds of thing lately. Part of this, I think, is because we’ve been pulling out all of the old favorites recently, doing something of a “greatest hits” menu. Another part of it is the strength of the team we have right now and the momentum of eleven and a half years of doing this. 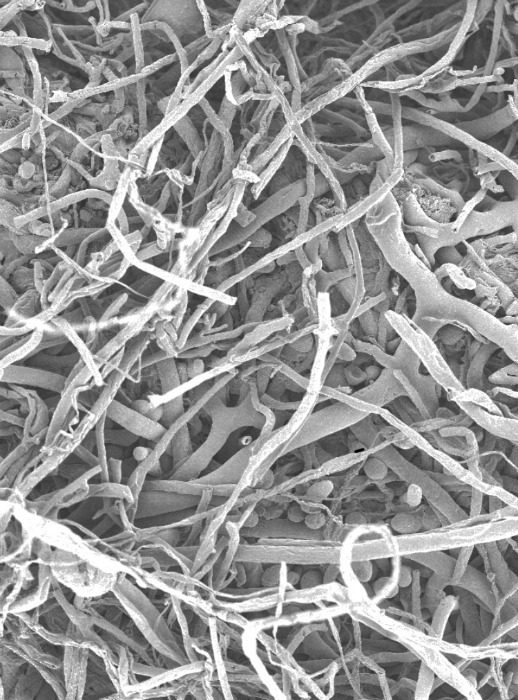 But I’m also keenly aware of the fact that this very momentum is a function of the many years of working proactively to keep things alive and fresh. Even at age eleven and a half–old for a restaurant– it feels too soon to be leaning on our greatest hits. I feel like the energy exists here to explore new avenues of cooking and serving food. I’m not ready for Legume to fall into maintenance mode; I genuinely believe that Legume’s best meals have yet to be served. It is for these reasons that I want to fill the CDC position. The happiest years of my adult life were the years in which I was functioning as Legume’s chef de cuisine. That was before Legume grew into three restaurants and 50+ employees, and before Sarah and I had 5 kids. It’s hard to explain why those times were so happy, but I think it’s because most of my responsibilities in life had been paired down to one objective: making beautiful food. I don’t think I could do it again, but I’m very grateful to have done it for as long as I did. I’m still in the kitchen a lot–happily. However, my responsibilities spread me too thin to do the job of the CDC correctly, which is to be fully immersed in the minutia of the day-to-day functioning of the kitchen, to be hyper-aware of everything that is happening in seemingly disparate parts of the kitchen, and distill it all into something that is inspired, ephemeral, beautiful. This can’t be done without total, full-hearted immersion in the kitchen. First and foremost, the CDC is a leader. They lead with positivity and are skilled at communicating clearly. They are a team builder. Second, the CDC is a technically proficient culinarian with a minimum of seven (preferably ten) years of professional cooking experience, mostly in fine dining restaurants. Strong classical technique is a must. Generalists like myself (cooks who spend a few years baking, a few years doing pastry, a few years cutting meat, or other food things not directly related to fine dining) are encouraged, but possession of strong fine dining line skills are imperative. Third, the CDC must genuinely believe in the mission of Legume, which is, in a nutshell, to make inspired food every single day, while also fostering a work environment that is, as much as we can know, life-affirming and beneficial for all of our workers and our community at large. Fourth, the CDC is a disciplined cook. I define “disciplined” as having that unteachable inner-drive to attempt to do everything as well as possible every single day. Fifth, the CDC must be able to merge and collaborate with the amazing team that is already here–and it is an amazing one including a chef who has been here for six years, and two sous chefs who have been here 5+ years, and a kitchen manager coming up on 2 years. In addition to the on-the-ground support of these committed professionals, the CDC will also have the support of a chef/owner (me) who understands well the challenges of the position, and who cares about artistic success as much as the financial. I forgot to mention: the FOH team is amazing too. Finally, the CDC is a hands-on cook who leads from the guts of the kitchen, not the office. The CDC works side-by-side with their cooks, mentoring and directly transmitting the skills of professional cooking to the next generation through modeling, nurturing, and teaching. If interested, email me at trevett@legumebistro.com. If you know someone who might be interested, please forward this email along. This twelfth batch of mincemeat pie, an annual tradition around this time of the year, looks to be a good one. Mincemeat pie will ready starting on Boxing Day, Wednesday, December 26th. To make a reservation, please give us a call at 412-621-2700 or click here. Please let us know when you make your reservation that you are coming for mincemeat pie so we can be sure to set one aside. It should be good and cold by the beginning of January, so join us as we bring our cassoulet back. The first cassoulet of the year will be served on Tuesday, January 8th. To make a reservation, please give us a call at 412-621-2700 or click here. We don’t normally sell whole pies at Pie For Breakfast. Our tiny little pastry kitchen, which makes all of the desserts for Legume, the brioche buns for Butterjoint burgers, and all the pies, salt-rising bread etc. for Pie For Breakfast just isn’t (yet) set up for us to meet the demand of whole pies to go. This week is an exception. Our pastry team, Emily, Robin and Erica, are making whole vinegar pies this week for Thanksgiving. 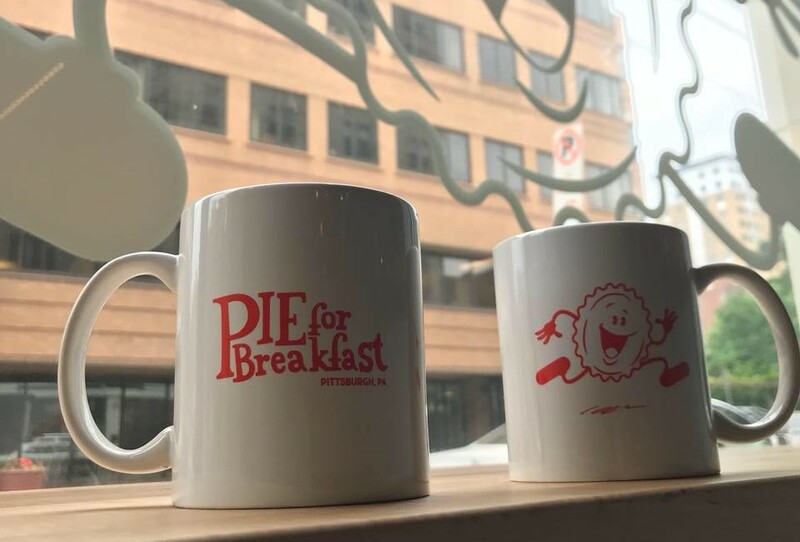 Pies can be picked up at PIe For Breakfast on Wednesday anytime before 3 p.m., or next door at Legume until 9 p.m. Each pie is $50, and 100% of sales ($50 for each pie sold) will go to the Greater Pittsburgh Community Food Bank. Our vinegar pie is our most popular item at Pie For Breakfast. You can read about vinegar pie here. The pies are not vegetarian, as they contain rendered lard from beautiful, pastured pork from Burn’s Heritage Farm. Quantities are limited. We’re capping it at 50 pies. To order, please click this link and order online. Thank you and have a safe and joyous holiday. Lobster Week at Legume is right around the corner. From Monday, June 25 to Friday, June 29, we’ll have fresh lobster ravioli (featuring Maine lobster and our own hand-rolled pasta) on the menu every day. The grand finale of Lobster Week is the Maine Shore Dinner on June 30th. It’s exactly like eating lobster on the coast of Maine, except overlooking North Craig Street instead of the ocean. The menu for the Maine Shore dinner is lobster, clams, corn on the cob, fresh made roll, and pie! The price for this ticketed event is $58 per person, plus tax and gratuity. You can purchase tickets in person at the restaurant or by calling 412-621-2700. It’s official: After a few days of testing the waters with some soft open services, Pie for Breakfast officially opened for good on June 12. It’s been a long journey getting this place open, and we’re so excited to finally bring you our new cafe. From now through the end of the summer, Pie for Breakfast will be open from 7am-9pm Wednesday, Thursday and Friday, 9am-9pm on Saturdays, and 9am-2pm on Sundays. We’re closed Mondays and Tuesdays for now, but plan to be open seven days a week by the end of the summer. And thanks so much to the Pittsburgh Post-Gazette, Pittsburgh Magazine and NextPittsburgh for talking to us about the opening, and our grand plans for Pie for Breakfast. We’re so happy to be open, and can’t wait to see you all soon at Pie For Breakfast. The opening of Pie for Breakfast is in sight. We don’t have an exact opening day to announce yet, but suffice to say, it’s coming soon, and you should be able to join us at the restaurant sometime in May, barring anything too crazy from happening. We’re incredibly excited to share what we’ve been working on with you, and are happy to introduce Pie for Breakfast to the neighborhood. A lot of folks ask me what the menu is going to look like. Breakfast will look familiar—pancakes, eggs, chicken fried steak, and baked goods. Some of the savory things we’re working on for lunch and dinner include meatloaf, stuffed cabbage, vegetarian tempeh smothered in onions, and pork chops. Nothing too revolutionary. Our plan is to be open six days a week from 7am until 9pm, and from 9am to 2pm on Sunday. I’m excited about the drinks too: espresso, an extensive bottled beer selection, Prosecco on tap, and mules made with Amanda’s homemade ginger beer. I’ve been fiddling around with water kefir at home and hope to introduce that too, though it might be more of a secret menu thing for a while until we get a handle on it. If you’re still curious about the restaurant, Michael Machosky wrote a great piece for NextPittsburgh that previews our menu, our sourcing, and our team. Thank you so much for your patience, your well wishes, and for reading this newsletter. We’ll be announcing the official opening date in this newsletter first – so keep an eye on this space in the next couple of weeks for a big announcement! 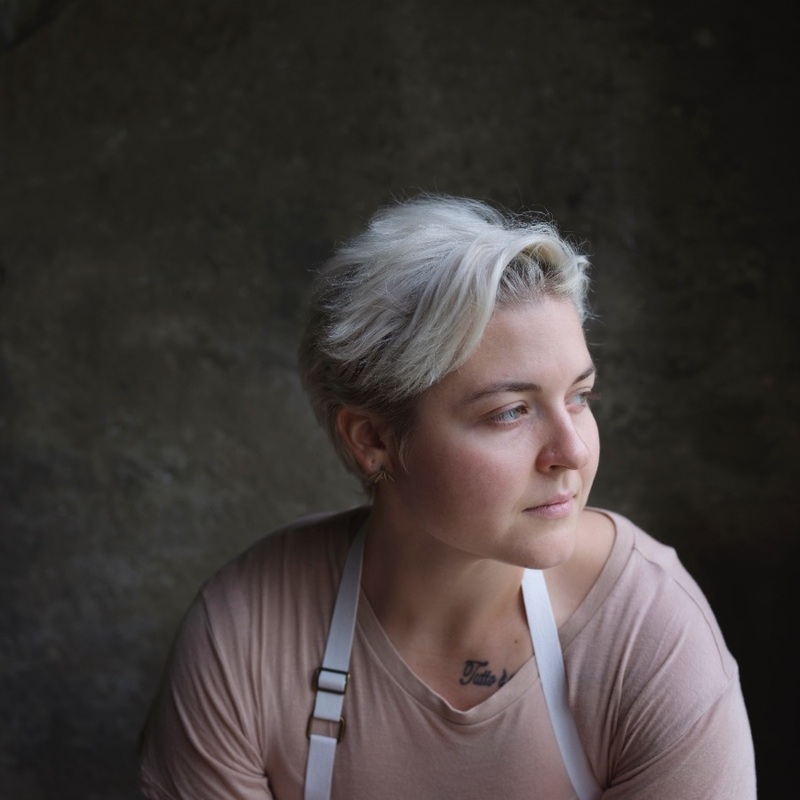 And if the anticipation of waiting until mid-May for Pie For Breakfast to open is too much, come visit us at the collaboration dinner we’re doing with chef Beth Zozula at the Ace Hotel on May 2. The Whitfield and Pie for Breakfast teams will be uniting forces to make breakfast for dinner, and you can drop by anytime between 5-8. There will be a clown. Tickets are $20 for adults, $10 for kids. You can find out more by clicking on the link below. A few weeks ago, Legume Bistro was named a semi-finalist for a James Beard Foundation Award, in the category of Outstanding Restaurant. Though we haven’t actually won anything, the recognition means a lot because what we do at Legume is very rare, and it is very difficult to communicate to the world exactly how this is so. All I can say is that the cooking and service we do every day is built upon a very fragile eco-system of relationships most restaurants aren’t willing to base their operations around, and a deeply-layered, process-driven approach to cooking that perpetually teeters on the edge of failure because of the never-ending attention it requires. Going about things this way is often cause for doubt, and so this kind of recognition goes a long way to encourage us further. And though we haven’t actually won anything, the nod is a reminder to me to express gratitude to the staff, farmers, investors (who still haven’t seen a penny), and our guests for making Legume possible. We all had a part in this. Restaurants don’t exist in bubbles; they are intertwined with the communities they serve. That Pittsburgh can support a weird little restaurant like Legume says something about the health of our city’s progressive spirit. For over ten years, Pittsburgh has allowed us to follow our hearts and do our thing, and for that we are grateful. Once we make it through the slog of Valentine’s Day week, we start to think about the late winter menu. March is a blurry time of year in the kitchen, and it requires a lot of planning and thought because if we don’t plan well, the menu will feel stagnant. It’s not quite cold enough for cold-weather cooking, yet what’s available locally right now is pretty much the same stuff that was available in late December. The challenge this time of year is to make a menu that offers a sense of renewal and transition, without indulging in pseudo-seasonal trappings like asparagus, peas, and morels months before they are actually in season here. Zurek is a Polish soup which is traditionally served on Easter. We typically serve it from the beginning of March until we start making wild nettle soup in April. Today we started the zakvas starter for the zurek, my favorite soup we make all year. The zakvas is a mixture of freshly-ground rye flour from Weatherbury farm, garlic, bay, marjoram, allspice and water that ferments for a week or so. We then use this tangy fermented mixture to thicken a stock made with bacon and root vegetables cooked in chicken stock. To this we add hard boiled egg and coins of kielbasa, and a sprinkle of dried marjoram. I know it sounds weird, but it’s actually really good. Any Saturday now I expect to see goose eggs at the Saturday East Liberty Farmer’s Market. That’s when I know spring is truly on its way, even if asparagus is still two months behind. We’ve been making goose egg flan for the past five or so years, and it has, like the cherry pie, developed a cult-like following. I’m looking forward to taking it to the next level this year with Seven Stars Cream, which we started working with this past summer. Pete Burns reports he’s going to have two hogs available every week beginning in the middle of March, which means really great things at Legume. Pete’s is the best pork we’ve tasted since Dave Heilman’s. Too many farmers I talk to think genetics has nothing to do with flavor of pork, and that pigs only taste as good as what they eat. Not true. Diet, obviously, is very important, but so are the genetics. Everything we make with Pete’s pork just tastes better—the sausage, the goulash, the schnitzel: all of it. That it will be a regular thing is very exciting. Long-time regulars might remember the antelope we used to serve many moons ago. We stopped serving antelope because we wanted to do all of our meat from Western PA. But after so many years of lamb, beef, pork, lamb, beef, pork, lamb, beef, pork, occasional goat, lamb, beef, pork—we’re opening the door to the great beyond again. To be clear: we’ll never serve commodity meat or poultry or anything like that, but it seems a little senseless to limit all of our options to lamb, beef, pork, occasional goat just to say we get all our meat from Western PA when there are so many great farms doing really great work that just happen to be beyond our state’s borders. A few weeks ago we received our first order of venison from Millbrook venison farm. It’s really good. We’re serving it with parsnip puree, einkorn pilaf, and a little sauce made with gin, brandy, juniper, venison and beef bones, mirpoix, and homemade red currant jelly we made last summer. (No one makes a sauce like this anymore.) The dish is a labor of love, and we could never possibly charge what we need to charge to make it financially viable, even though we’re charging $39 for it. The Mainer in me cringes to think we charge that much for a plate of food, while at the same time the Mainer in me cringes to think how much it costs us to put each plate in the pass. Expect to see venison a few more times before March is over. Goat is kind of a late-summer thing, but in our kitchen, it’s psychologically in season in March because the cooks are eager to see new things happen in the kitchen, and throwing four whole goat a week into the mix of things shakes things up a bit. Also, the goat we get from Brad Thoma is really, really good any time of year. This year, I’m especially excited to see how our new butcher, Jason Wilcox, will approach the goat and hopefully help us get some new ideas for it. Goat is one of the only animal we still receive whole. We used to receive pork and beef whole too, but that was out of necessity. If we wanted to work with high-quality local beef and pork in 2012, we had to get it whole and figure out what to do with it all; now there are pork and beef farms offering primals of the great-quality meat, so there is no reason to go through the whole animal hassle. When it comes to goat, however, we can’t get them in parts yet, so we get them whole, four at a time. That about sums up what we’re looking forward to this late winter. Everything changes again in the first or second week of April, when we’re focused on the wild foods of early spring—nettles, ramps, chickweed, wild mustard and whatever else Nick brings us. Then it all changes again when rhubarb and asparagus appear, usually the first week in May. What used to be the most difficult time of year in the kitchen is now the time of year I look forward to the most. Years of banging our heads against the brick wall of late winter and early spring has yielded a repertoire that is rich and interesting. And it continues to evolve from one year to the next. 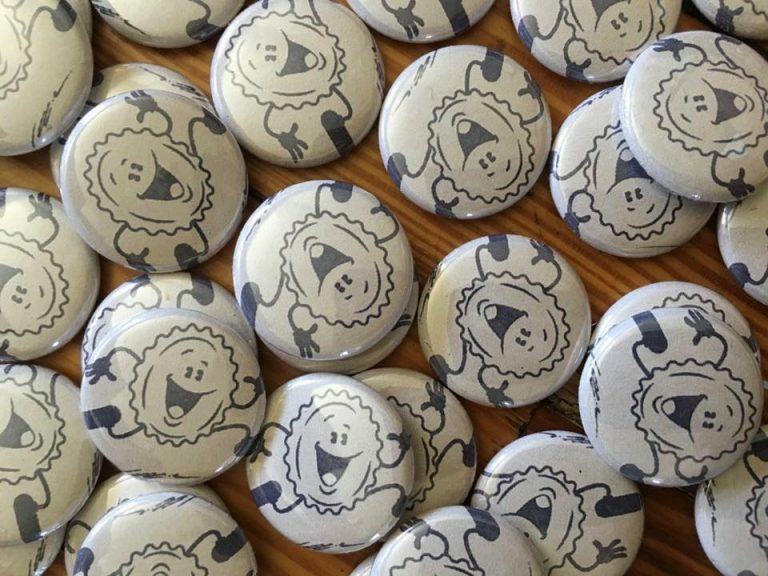 Thanks for reading and for supporting Legume. Doug peeling and seeding Iberian cayenne peppers. Mixed with salt and garlic. We will purée in a few weeks after it sours. This is what we’ll use in beef tartare. The Iberians are nice because they give nice color and some heat without being too hot. Nasturtium capers is something we’ve read a lot about over the years, but never had the chance to work with until Megan from Be Wilder farms offered up the seeds this week. We’re fermenting some, salting some, vinegaring some, etc. until we find a method we like. So far, every method tastes good.